September 27-29, 2007 • Hyatt Regency Santa Clara, CA • Register Now! This year, WITI's 2007 Summit will feature innovators and talk about innovation. The first day of our conference will be an entire day of roundtables where we engage each other and feature innovative women who are pushing the envelope. To inspire each other, help each woman present make a decision to leave her "modesty" at home and, instead celebrate and share each other's accomplishments and solutions to pushing even bigger ideas out the door. Including the 12th Annual WITI Hall of Fame Dinner and Awards Ceremony! Established in 1996 by WITI to recognize, honor, and promote the outstanding contribution women make to the scientific and technological communities that improve and evolve our society. Please call 818-788-9484 for information on how to be a sponsor, an exhibitor, or to advertise in a WITI conference program. Hope to see you in Silicon Valley! Most of us have had the following experience - we are happily reading along in our morning newspaper or in our favorite magazine and we come across one of "those kind" of stories - and we cringe. It's a story about some wildly successful man or women who says, "I just knew since I was four years old that this is what I wanted to do with my life." And somehow just reading this makes us feel resentful or envious or annoyed with ourselves. "Why didn't I 'just know' as a child what my life's passion would be? Why did I not have a grand vision that effortlessly guided all my decisions and actions until I too became deliriously happy and successful?" August 14, 2007 • Las Vegas • Register Now! Join us for this fun and exciting wine tasting event. Alia Geblin will discuss how to choose wines, the proper etiquette for wine tasting, and how to look for that right bottle of wine. WITI Member Mary Rodino Apointed to Chief Marketing Officer at CIMCO Communications, Inc.
CIMCO Communications, a leading provider of data and voice solutions announced today that it has named Mary Rodino as Chief Marketing Officer (CMO) for CIMCO. Mary brings a distinct combination of experience coupled with a monumental track record that will directly support CIMCO and its guiding principle of advancing technology with personal commitment. In this position, Mary will oversee both the Marketing and Sales departments for CIMCO. She will be responsible for the development and execution of the company's overall marketing and sales strategies including: sales management and operations, marketing, advertising and brand management. Jane Herman is a professional Coach, consultant, writer and speaker who helps individuals, teams, and organizations get the awareness, tools, and support they need to succeed. 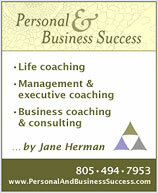 She specializes in working with people in the process of redesigning their lives, their careers, or their businesses. She helps them bring their vision into focus and achieve their goals.